We love answering questions...wherever we go! 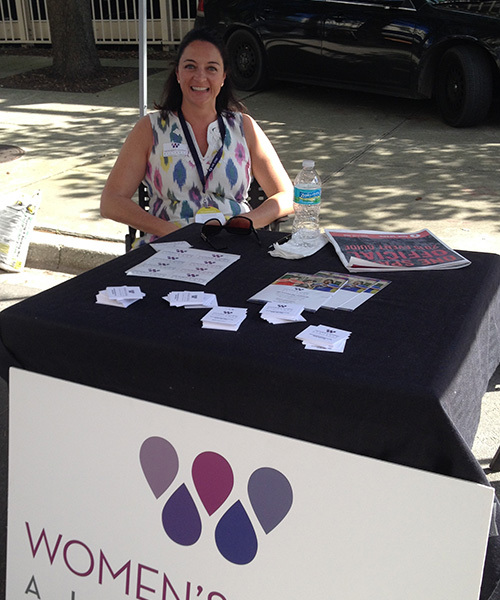 Member Jennifer Croy womanned the WGA booth at Jacksonville's One Spark festival. Looking for more information about collective giving, WGA membership, our events and more? You're in the right place! Browse our FAQs and glossary below, or reach out to us for help. What is a “giving circle”? Are there other women’s collective giving groups? How did WGA get started? Is collective giving a pass-through, like a donor-advised fund? Is there an application process? Do I need to be invited by a Member to join? How much do Members contribute? Does joining in a given year obligate you for the next? What percentage of Members renew? Can I use a matching gift to pay for my membership? Do you accept gifts of stock or other securities? May I contribute more than the $1,500 membership? Should I consider time of year when joining or renewing? 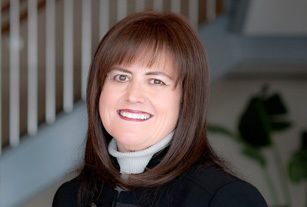 Can you tell me more about WGA's membership program for women under 40? Can I be involved with WGA if I'm unable to make the full membership commitment? What is a Legacy Member? Why does WGA focus grantmaking on women and girls? What role does research play in your grantmaking? Why have a focus area such as Mental Health or Breaking the Cycle of Female Poverty? Who decides which grants get funded? I'd like to volunteer for a committee. Whom should I contact? What is the time commitment for Members? What meetings and events are held throughout the year? Do you have to be a Member to attend? Don’t be shy! Contact us for more information. A giving circle is a group of people who pool charitable resources and decide together how to disburse them. By focusing on areas of shared interest, giving circles are able to achieve greater impact in the community. Members benefit opportunities to learn about issues and participate in grantmaking and governance. Collective giving has two goals: (1) educate Members about community needs and strategic philanthropy and (2) multiply the impact of individual gifts. This year, 473 Members contributed $1,000 each to our grants pool. From time to time, additional donations are made to the WGA grants pool to increase the amount of monies available for strategic grantmaking. This “partner funding” also benefits local nonprofit agencies and the women and girls that they serve. Yes, there are many, and the number continues to grow. WGA has proudly served as a model for many groups across the country. WGA belongs to The Women’s Collective Giving Grantmakers Network (WCGN), a national network of 45 independent collective giving groups. As an organization, we also helped to found the Florida Women's Funding Alliance, an affinity group of the Florida Philanthropic Network. The Community Foundation for Northeast Florida used the WGA model to develop its LGBT Community Fund for Northeast Florida. WGA was founded by five women in 2001, as an initiative of the Community Foundation for Northeast Florida. In early 1999, Jacksonville resident Courtenay Wilson read an article about The Washington Women’s Fund, a "collective giving circle" in Seattle. She shared the idea with Andy Bell, President of The Community Foundation for Northeast Florida at the time, and four of her friends: Ann Baker, Doris Carson, Helen Lane and Delores Barr Weaver. In 2001, WGA recruited 163 Members, and began giving grants the following year. Read more about our history and Founders. No, a donor-advised fund is a charitable giving vehicle administered by a public charity that manages donations on behalf of families or individuals. While many women pay their annual WGA dues through donor-advised funds held at The Community Foundation for Northeast Florida and elsewhere, a collective giving group like WGA has a specific mission and vision, and runs a grants process to advance those goals. Strategic philanthropy creates an impact greater than the actual dollars or time invested. It typically focuses on root causes and comprehensive solutions to make a lasting difference for entire groups of people. At WGA, we use collective giving, research, a rigorous grantmaking process, shared learning, education and other approaches to be as strategic as possible in our giving. All woman are welcome and encouraged to join at any time. You do not need to be invited by a Member, and there isn't an application process. Just complete our Commitment Form and pay online or by mail. Each Annual Member makes a tax-deductible gift of a minimum of $1,500 per year. Of this amount, $1,000 is allocated to the grant pool, $300 is invested in our endowment and $200 helps to defray operational expenses. Not at all. You're free to evaluate your membership commitment each year. We have an average annual renewal rate of 90%. Absolutely. Simply indicate the amount of your contribution, the amount of your matching gift and the name of the matching entity on your Commitment Form. Yes, you may use securities to pay for your WGA membership or contribute to our endowment fund. Just call or email Joanne Cohen, Vice President of Philanthropic Services at The Community Foundation for Northeast Florida, at 904-356-4483 to let her know what securities to expect, and how you'd like them applied. Yes, anyone may make a donation to our grant pool or endowment fund. WGA accepts contributions in honor or in memory of friends and loved ones. You're welcome to join or renew at anytime during the year. We do encourage Members to pay their annual dues before April 30th, however, as that's the date the grant pool closes. If you join or renew after that date, your dues simply roll into the next year’s grant pool. Can you tell me more about WGA’s initiative to attract women 40 and under? The Delores Barr Weaver 4Sight initiative offers women 40 and under an opportunity to join WGA at a one-time reduced investment of $750. 4Sight participants have full voting rights and are encouraged to participate in all WGA events and committees. Yes! The majority of WGA events are open to the public, so you can attend and learn more about issues impacting women and girls in our community. You may also make a contribution to our grant pool to support grantees. You'd just need to be a Member to serve on committees, vote in elections or ratify the grants. Legacy Members are lifetime Members who make a minimum gift of $25,000 in one payment or more. Legacy Members ensure that the work we do for women and girls in Northeast Florida will endure. You may also create a legacy through a planned gift or bequest. To discuss a lifetime Legacy Membership, please contact Joanne Cohen, Vice President, Philanthropic Services at The Community Foundation for Northeast Florida, at 904.356.4483 or JCohen@jaxcf.org. The focus on women and girls originated with our founders, and is core to WGA's DNA. Worldwide, just 7% of philanthropic dollars are spent on programming for women and girls, despite females' influence on families, communities, businesses and future generations. We understand the power of women and girls, and want to help them to accomplish more. WGA conducts community research to identify needs, and makes that research available to the public. We also ask nonprofit agencies to cite research when applying for grants. In 2012, our Members decided to maximize impact by selecting one focus area for several years. Members’ interest in Mental Health (2012-2016) grew from WGA research, which showed that Florida ranks 49th in per capita spending for mental health. Based on new WGA research which was presented in March 2016, we transitioned our focus in 2017 to Breaking the Cycle of Female Poverty: Intervention and Prevention. Once the Grants Committee completes its months-long process, it submits its recommendations to the Steering Committee. With Steering Committee approval, final grants are then submitted to our Members at the Annual Meeting, where members have the opportunity to ask questions, and then vote to ratify the new grants. As a membership organization, WGA uses a democratic process of “one Member, one vote”. Members elect the President, Vice-President, Secretary, Treasurer and at-large members of the Steering Committee; each serves a two-year term. Chairs of the Standing Committees are appointed by the President and also serve on the Steering Committee. Full membership votes are required annually to ratify grants, and are always required if a change is proposed in the annual contribution or the allocation of that contribution. Yes, there are seven standing Committees: Advocacy, Communications, Education, Finance, Grants, Membership and Governance. Wonderful! Please contact the committee chairs. A list of current committee chairs is publicly available on our website in the Committee section, or you can log in to the password-protected Committee Working Materials section for detailed contact information for all committee chairs (see Committee Descriptions and Contact Information by logging into the Members Only section of the website and clicking on Committee Working Materials near the bottom of the menu). Yes, of course. We do try to seat every member who has requested to sit on a committee first before seating members on a second committee. That's entirely up to you! As a Member, you can tailor your level of involvement to fit your schedule and preferences. Some Members are "happy check writers"; others like to participate more. WGA hosts a number of events throughout the year, including large semi-annual luncheons in the spring and fall (Member Forum and Annual Meeting), smaller educational events, lectures and panel discussions, an annual Strictly Social gathering and neighborhood connector events. Nearly all of our events are open to the public. View our calendar & events. WGA explores ways to influence public policy through non-partisan activities. Our Members advocate for causes that impact the well-being of women and girls in Baker, Clay, Duval, Nassau and St. Johns Counties. A giving model in which people pool charitable funds to create a bigger impact. A form completed annually by all members to join or renew. The Commitment Form may not necessarily be accompanied by the annual membership payment, but an intended date of payment is requested. Neighborhood Connector Groups grew out of Members’ interest in getting to know one another in small, close-to-home settings. Activities depend on the interests and ideas of the Members in each area and include periodic gatherings. Although local in focus, any Member is welcome and encouraged to attend any Neighborhood Connector event – and to bring a friend! The Delores Barr Weaver 4Sight initiative offers women 40 and under an opportunity to join WGA at a one-time first year investment of $750. 4Sight participants have full voting rights and are encouraged to attend educational and social events as well as serve on committees. A way to pool charitable funds and other resources to create a bigger impact. Giving circles were founded on the principals of equal contributions and equal decision making. The Grants Leadership Team (GLT) coordinates three sub-teams involved in the grantmaking process: Grants Decision Team, Grants Evaluation Team and Grants Impact Team. Strategic philanthropy ensures investments fit together to change the landscape for target populations and the community as a whole. WGA is an initiative of The Community Foundation for Northeast Florida (TCF). The Women’s Collective Giving Grantmakers Network (WCGN) is a nationwide group of women’s collective giving organizations.